Justin Sun announced a few days ago via Twitter that a new gigantic collaboration with a multi-billion dollar company is imminent. The speculation turned from Alibaba via Google to Baidu. 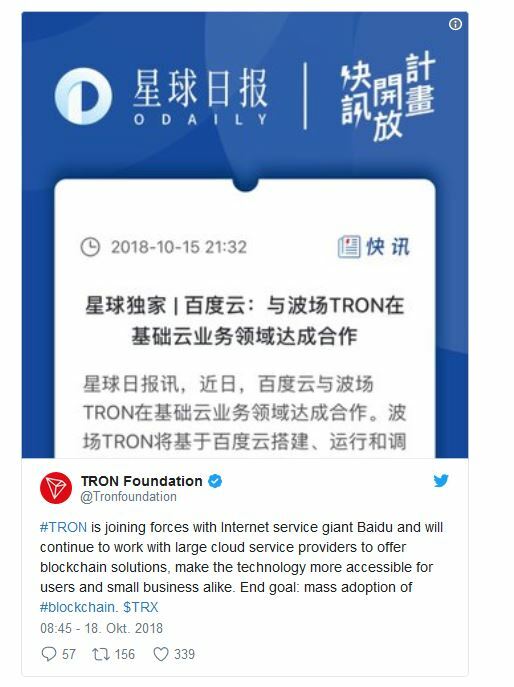 Now, a few minutes ago, the TRON Foundation has confirmed that Ethereum killer TRON will work with Baidu and major cloud service providers. 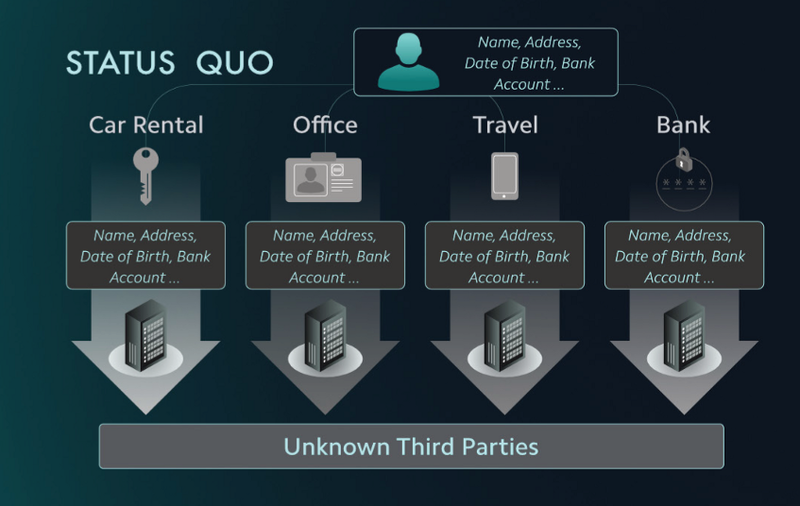 The goal of this collaboration is to make blockchain solutions accessible to medium and small businesses, thereby driving the adoption of this new technology. TRON and Baidu will provide complete software solutions to offer “blockchain-as-a-service” in a bundled package as a free business service to innovative companies. Baidu and TRON will build the complete infrastructure so that they can be used with a variety of possible deployment scenarios. It will enable developers to build, test, and run distributed applications in the cloud. This collaboration is not an isolated case in the industry. The retail giant, in partnership with QTum, also offers Amazon Web Services (AWS), which facilitate or enable the use of enterprise blockchain technologies. 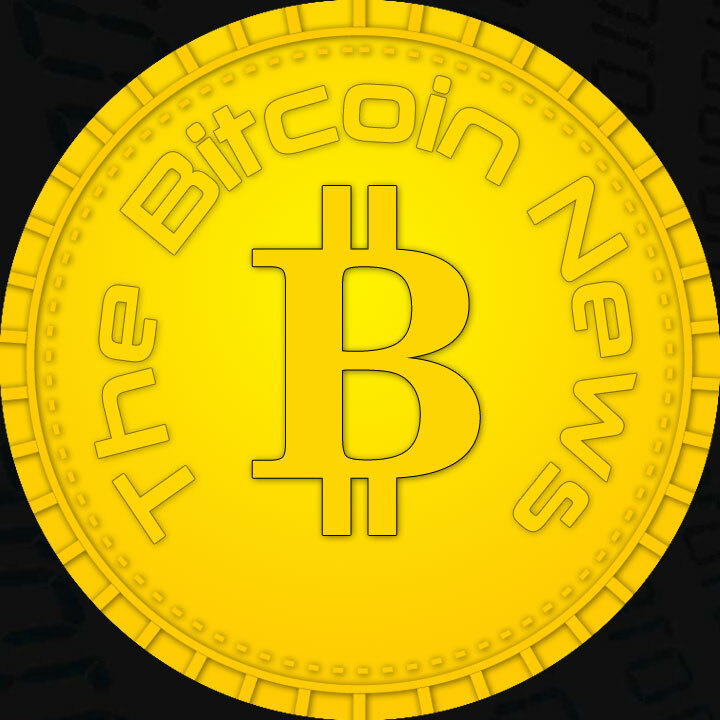 TRON’s response to this news was rather modest and saw a small increase of + 1.59 percent to a price of EUR 0.02153. 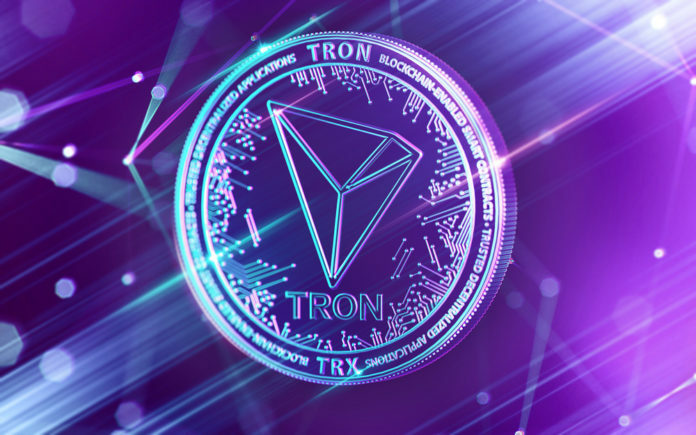 With a market capitalization of just under € 1.4 billion, TRON ranks 11th among the largest cryptocurrencies in the world.